Not just anyone can be a .ORGANIC – proven verification of eligibility is required for this trusted designation. Who may be eligible to register a .ORGANIC domain? After registration, but before your domain can go live on the internet, you will be required to go through the .ORGANIC Verification Process. This will include providing information and documentation to prove you meet the .ORGANIC registration requirements. 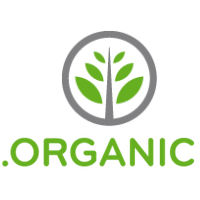 Meaning of Extension .organic is one of the generic domain extensions (gTLD).